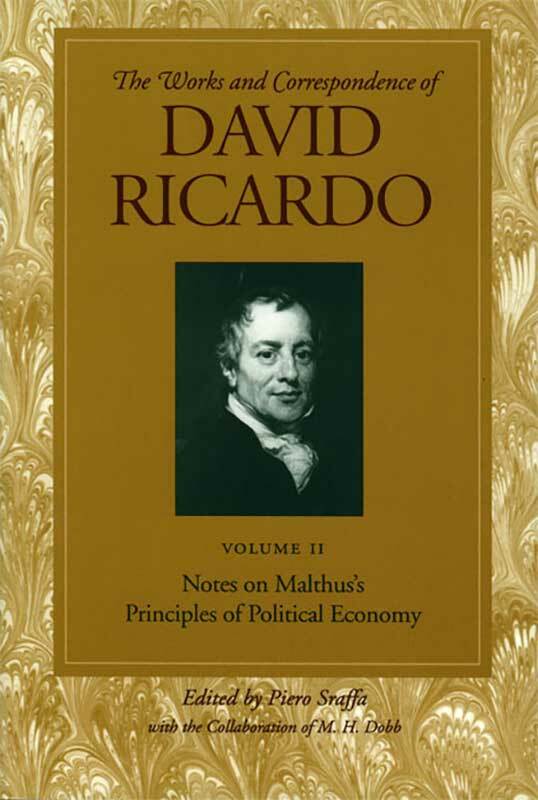 David Ricardo and T. R. Malthus shared an endearing friendship despite a contentious divergence of opinion on many political economic issues. This volume contains the formal remnants of their differences. Ricardo analyzes, issue-by-issue, his points of divergence to Malthus’s Principles of Political Economy. Malthus’s contributions to political economics generally concern his bleak forecast that a geometrically growing population would surpass the arithmetically growing capacity of essential natural resources. Introduction, index to Malthus's Principles of Political Economy.